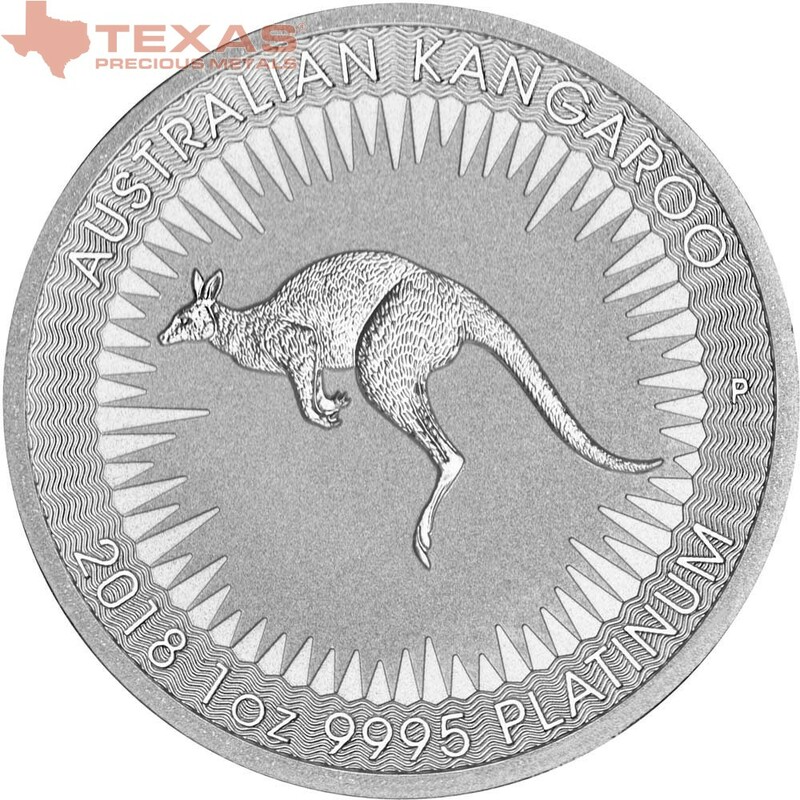 The Perth Mint is excited to announce the launch of the very first Australian Kangaroo 1-Ounce Platinum Bullion Coin featuring Australia’s favorite bouncing marsupial. 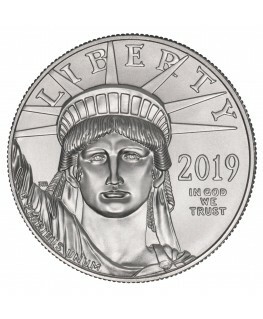 This dazzling coin of 99.95% platinum is considered legal tender by the Australian government with a face value of $100 AUD. Collectors have excitedly awaited this first edition platinum coin from the famous kangaroo series. Each year the Australian Kangaroo is one of the most anticipated offerings from the Perth Mint. From 1989 to 2016, the kangaroo could only be found on gold coins. However, in 2016 the Perth Mint released a silver edition, and now in 2018, investors will be able to add a platinum coin to their investment portfolios. The Perth Mint has chosen to feature an image of the red kangaroo, which was once used on the Australian penny. This marsupial species has been featured in the past on the Gold Kangaroo Coin and is currently featured on the Silver Kangaroo Coin. While platinum can appear similar to silver in color, it is a completely different element that has a hearty resistance to corrosion making it well suited for both bullion and jewelry products. 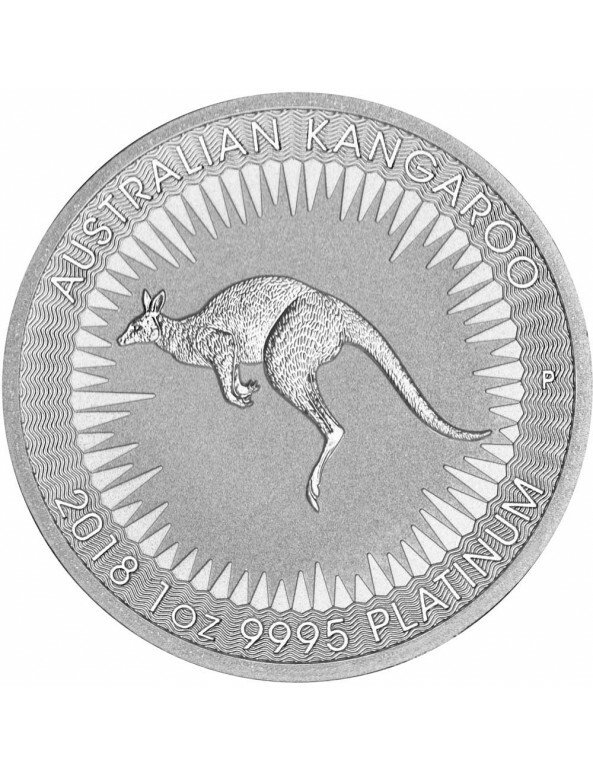 The reverse side of the 2018 Australian Kangaroo 1-ounce Platinum Bullion Coin features a lone red kangaroo hopping towards the left edge of the coin. The large, powerful mammal is surrounded by bursts of sunshine emanating to the edges of the coin. The red kangaroo is the largest member of the kangaroo species, and the delicate design of the coin highlights the kangaroo’s wavy fur, robust hind legs, and powerful tail. 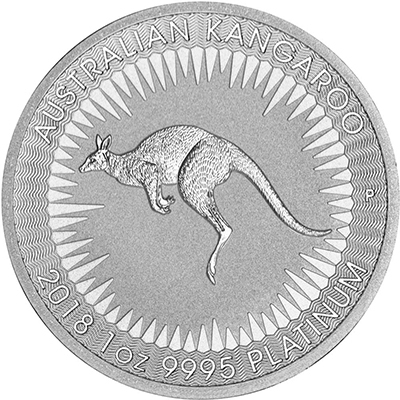 “AUSTRALIAN KANGAROO” is engraved over the top half of the coin, and “2018 1 oz 9995 PLATINUM” which communicates the coin’s year of production, weight, and metal content is inscribed along the bottom of the coin. Just to the right of the kangaroo’s tail, investors can find the Perth Mint’s traditional “P” mintmark. 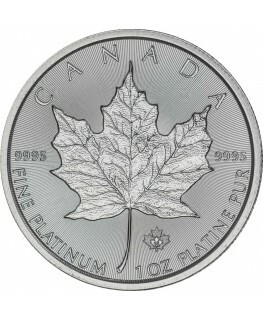 The coin has a unique perimeter with an intense wavy pattern circling the whole edge of the coin. 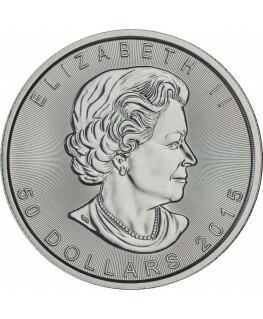 The obverse of this coin showcases Ian Rank-Broadley’s interpretation of the right profile of Queen Elizabeth II. 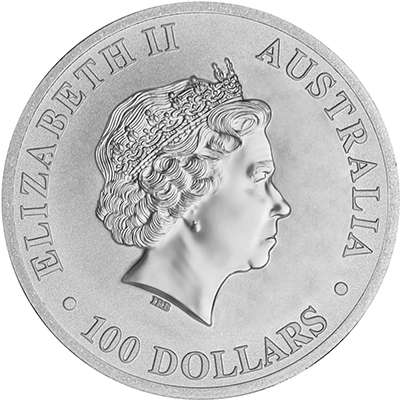 This right profile image appears on all current Australian mintage and indicates that each coin is backed by the Australian government. The royal engraving of the Queen includes extremely realistic facial features that almost lend a 3D effect to the coin. 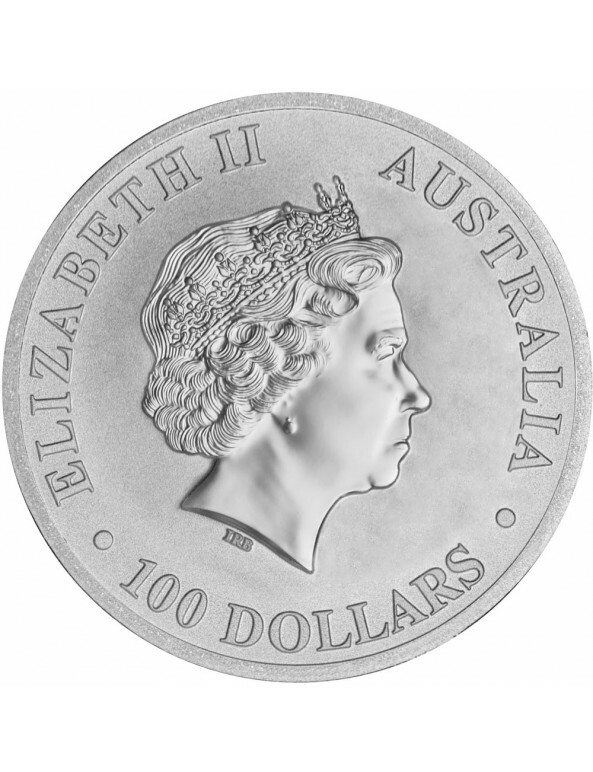 Surrounding the Queen along the perimeter of the coin are the engravings “AUSTRALIA”, “ELIZABETH 11”, and the coin’s monetary value “100 DOLLARS”. This particular rendition of Queen Elizabeth has been represented on coins since 1998 after famous British sculptor, Ian Rank-Broadley, won the Royal Mint’s competition for a new royal design. 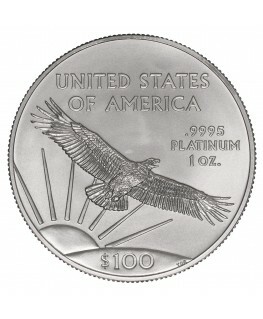 Mintage of the 1-ounce coin is currently unlimited and available worldwide. Each bullion coin is packed in a protective acrylic container.2018 will be historically significant as collectors will be able to purchase gold, silver, and platinum Australian Kangaroos for the first time.